Nick's 6th annual great pumpkin weigh-off is this Saturday at 11:00 in Aurora. 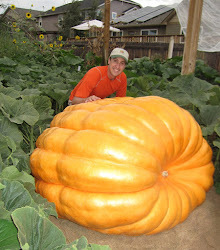 See some pumpkins over 1,000 pounds with the potential for a new Colorado state record going to the scale. Nick's is a great event with a lot of great activities for kids.